Not surprisingly, choosing the best camera backpacks is often a very personal decision, much like choosing clothing. You can argue that the only way to find the best is to go to a traditional "brick and mortar" store and try some on. Buying online is now a more popular route to take with buying personal products because of the excellent return policies of so many of the on-line vendors. This is true for camera bags too. If you are one of those digital photographers who have never used a camera backpack, there are a couple of things you should be aware of first. There are few different styles to choose from and also some hybrid with "cross-over" options. 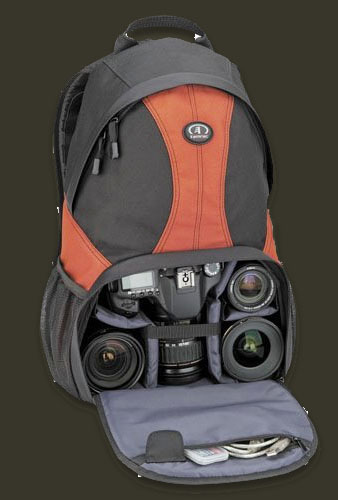 The main purposes of using a backpack for photography are protection and transportation. Most good backpacks are designed to accomplish both of these goals. Some of the other features to consider are size, internal protection compartments, ease of camera access, external padding, external pouches, shoulder strap width and thickness, wheels, tripod holder, and rain protection. 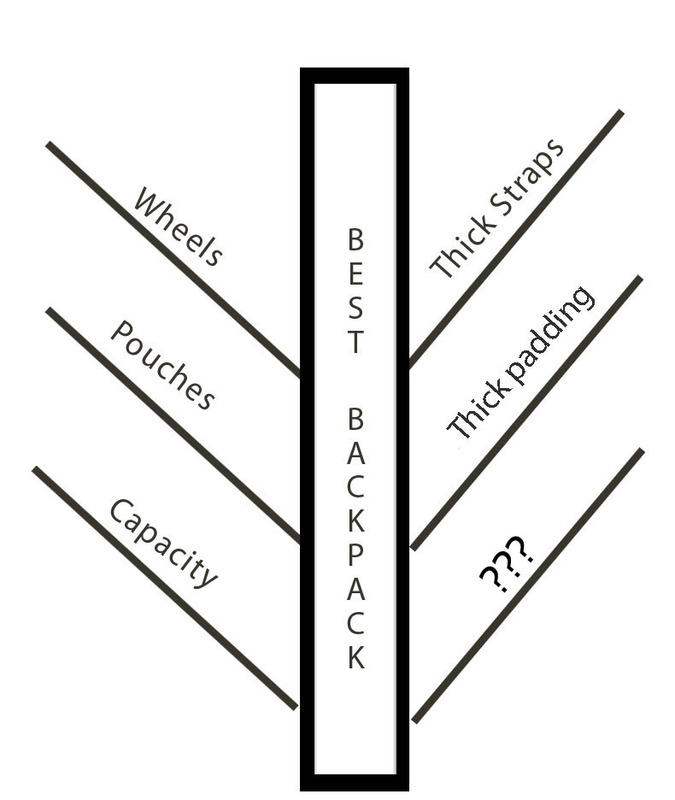 Write down the equipment you're going to carry inside your backpack. List the situations you're going to use it for. Hiking, air travel, family events, concerts, sporting events, etc. Use a visual mind map. You can use any design of mindmap you want. Putting your ideas in writing is a must. Seeing all of the features of your ideal camera backpack at once is very helpful in the decision-making process. I wrote down a list of features on branches of a tree. It's just my version of mindmapping. There are other mindmap designs you can use too. Here is a video on Youtube you might find valuable. It's 8 different photography backpacks shown in 8 minutes. These are high quality backpacks and come with corresponding high quality pricing. If you are looking for a basic, cheaper backpack you might like this one. LowePro I bought my first large heavy duty pro shoulder bag from Lowepro about 10 years ago and I use it more than any other camera bag I own. That's not because I like it more than Lowepro backpacks. It's because it is perfect for the location portrait photography I do extensively. Tamrac. The names of their newer lines, called Expedition, Evolution and Velocity, create an image of adventure photography. Started in 1977 when I personally started to get serious about photography, Tamrac is known for several very innovative design concepts. Their original line was dedicated to outdoor photography enthusiasts. Tenba. Tenba started about the same time as Tamrac and has 5 lines of bags and backpacks; Discovery, Messenger, Roadie, Shootout, and Vector. 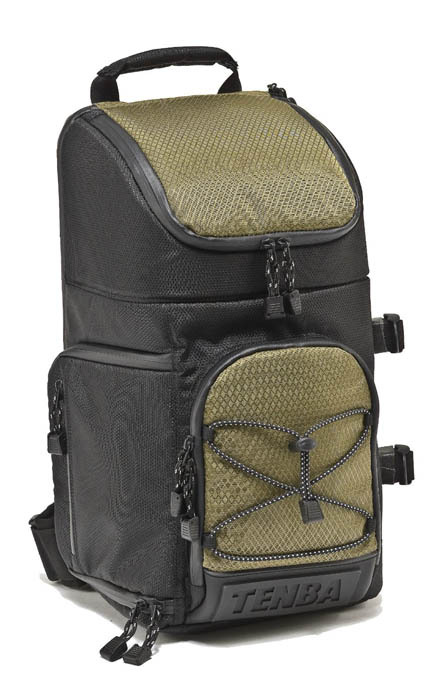 All three of these camera backpack makers have solid reputations for their camera equipment bags. ThinkTank Photo is a camera bag manufacturer run by photographers. They are not a well-known mass production company like the ones listed below, but I included them for a good reason. Prefessional photographers know them well. Their bag designs often look simple, but a lot of sophisticated and practical features have been incorporated into them. I invested a lot in one of their camera travel bags. It's not a camera backpack, but here is my review of the travel camera bag I bought: Think Tank Airport Airstream Roller Bag. A true sling backpack only has one shoulder strap and is an interesting alternative. These bags make it very easy to pick up your camera bag quickly as well as access your equipment quickly. Modern design sling bags let you swing the bag around without removing the shoulder strap and accessing your gear. 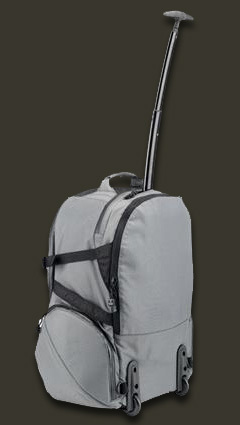 Here is a video showing off the Tenba Sling Backpack. 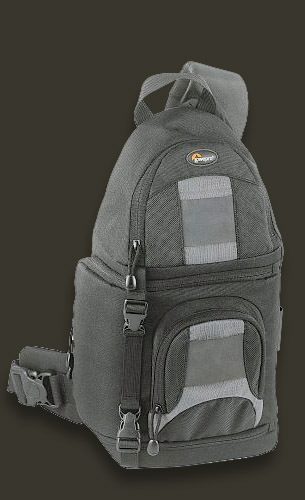 Shoulder Bags are the most common carrier for cameras and accessories and have been around the longest. We live in a society of specialization and bags designed to carry our cameras and photography accessories. During my early years of photography, shoulder bags were the only thing available means of carrying a camera with accessories. I still own 2 shoulder bags and still use them both. Waist Packs. I sometimes use a small waist pack with is great for day hikes. It does have limited storage and only fits one full-sized DSLR with a 24-105mm all-purpose lens. I can carry an extra battery, memory cards and a polarizing filter, but that's about it. The biggest advantages of waist level camera bags are super quick access to my camera and very light size and weight. The top shelf backpacks for cameras cost a bit more than the poorly designed ones as is true with most things; you get what you pay for. You can read about and search for the best camera backpacks reviews here on Amazon. Amazon has a great return policy, but even if you don't buy a backpack there, it is great resource for finding out the issues that other photographers are having with their camera backpacks. That's my camera backpack buying advice. Have a blast. Shoot lots of photos. Watch less TV. At the time of this post, this basic camera backpack is selling for less than $30. It's one of all-time best sellers by far. Click the photo to read the consumer reviews. 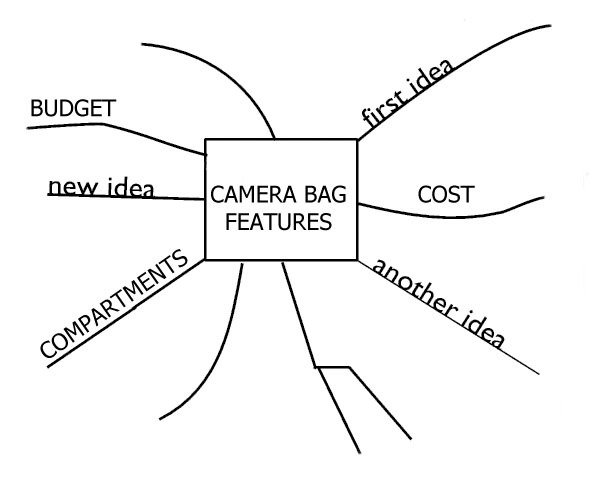 You can use one of the free mind map sites to help with your decision on the best camera backpacks. Here is the link to one that I've used for buying decisions.